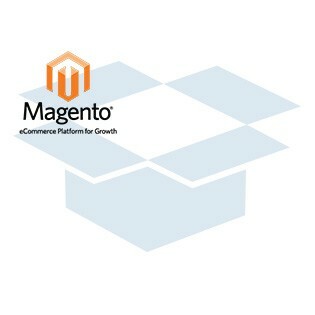 Magento Shipping Module - ABF (ABFS) Freight Systems Inc.
ABFS Freight System online quote module for Magento. 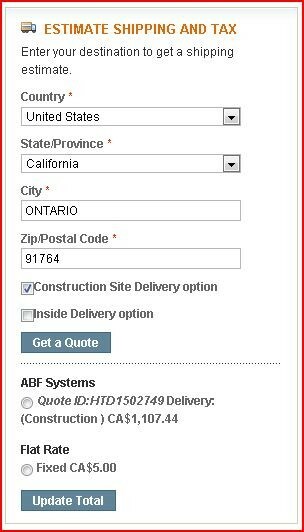 This module supports most of the ABFS system options and allows you to select what pickup options the client may use. 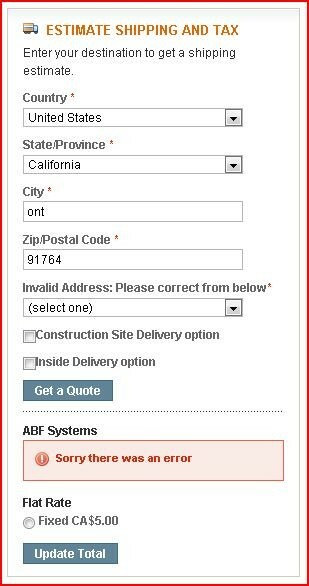 It also includes a sample module of how to disable other shipping methods when ABFS is enabled. Please refer to the screen shots for more information. You should always backup your database & Installation files before installation to be prepared to revert in case this module has adverse effects on your system. Log into the admin panel and disable caching (this will keep most problems from occurring). For more instructions on how to backup your installation please refer to these instructions. If your are using non standard checkout templates you will need your designer to copy the modifications over from the templates in the archive - be sure not to upload the design folder until your templates have been matched / updated. 3. 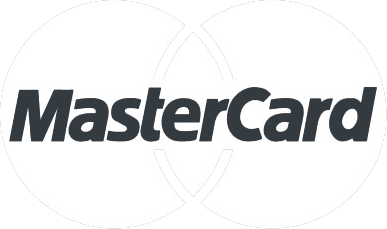 Edit the templates if need be (only necessary if you are not using stock onepage checkout). 4. The archive will have a __MAGE_ROOT__ folder. Anything in that folder will need to be uploaded to the server. 2. Click 'Catalog' > 'Attributes' > 'Manage Attribute Sets'. 5. Save the attribute sets and configure a product or two for testing. 1. Click 'System' > 'Configuration'. 2. Scroll down, on the left side navigation in the 'Sales' group click 'Shipping Settings'. 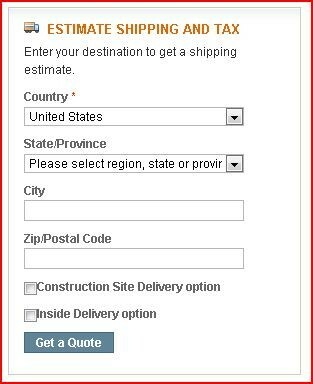 Ensure this is configured for your shipping location (notice you MUST spell the city name out properly or ABFS will error). 3. Select ‘Save Config’ to save your settings. 1. Next select 'Shipping Methods'. Should the module always return quotes or just if there are product with abfs_quote set to yes in the shopping cart? Combine all product weights for a single package quote or handle them separately? 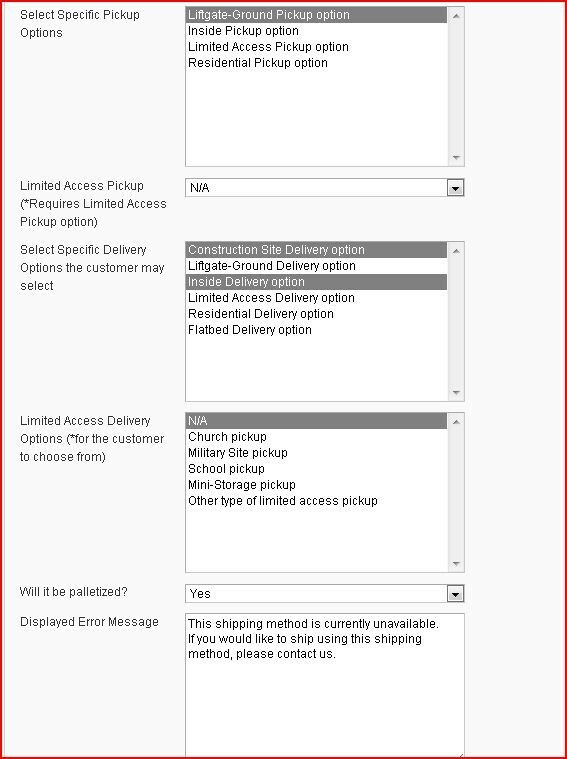 These are the options the customer will be able to select when checking out for their delivery situation. 3. Once you have the configuration set, select ‘Save Config’ to save your settings. 4. Go add one of your test products to the cart and you should first try the cart quote. 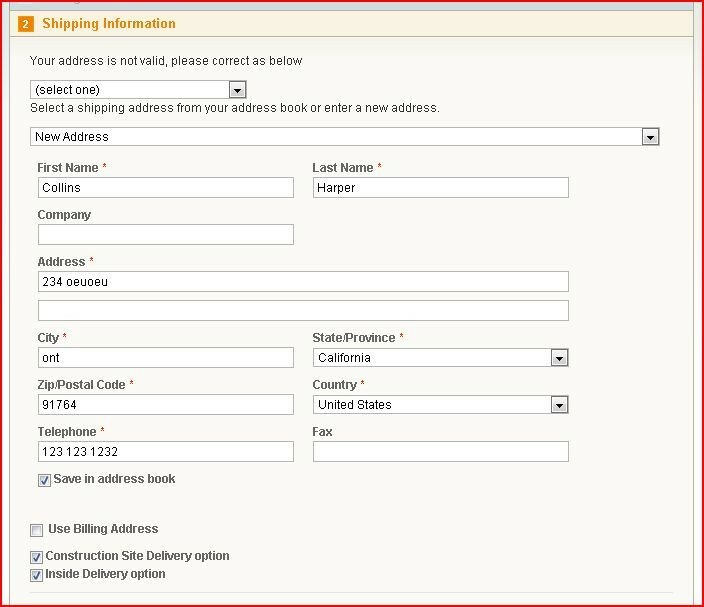 Then try in the onepage checkout system (billing address and shipping address). If you enter an invalid address it will give you a selection to choose from to correct it. For paid installation support feel free to email or call us.